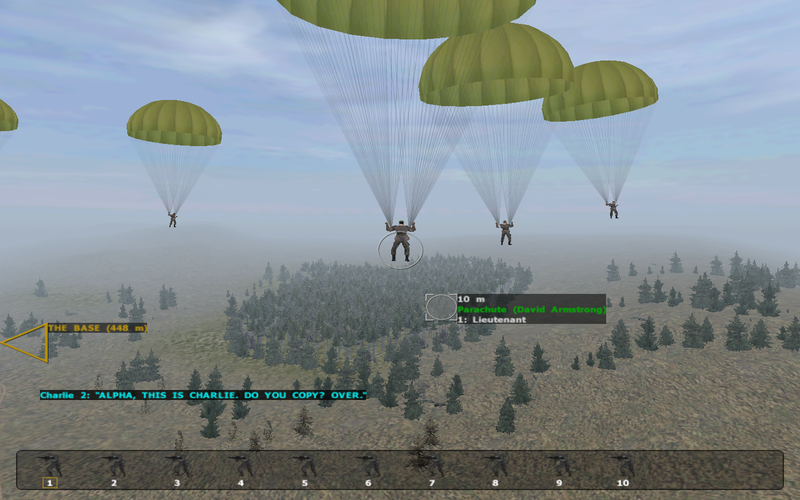 First person shooter month continues with the classic war simulator ArmA: Cold War Assault (aka: Operation Flashpoint). As my squad nears the Soviet outpost I pause, taking a moment to survey our surroundings. It looks like a good spot. We have the high ground here and the land rises up into a rocky shelf where my squad can take cover. 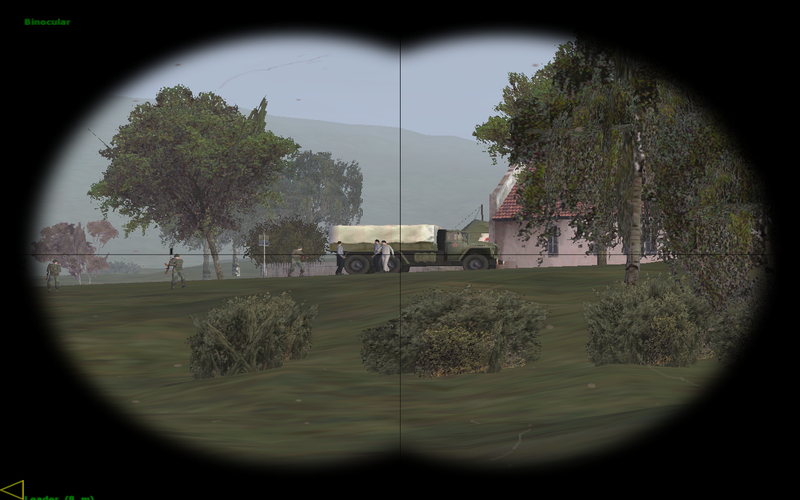 I pull out my binoculars and survey the enemy camp; tents, two squads of soldiers and a tank. It's the last bit that's proven the biggest problem. 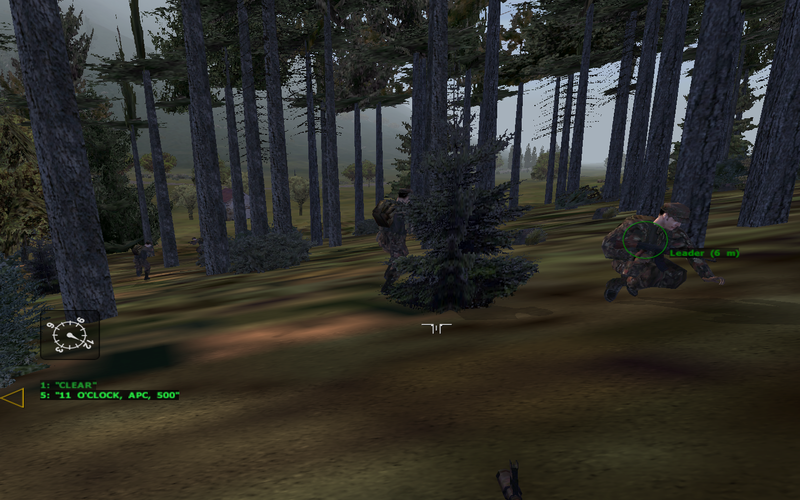 In my last assault -a charge out of the eastern woods- we took down the soldiers no problem, but we weren't fast enough to take down the BMP crew as they emerged from the tents. My troops weren't equipped with any anti-tank weapons and the sucker cut us to pieces before I could salvage one. "All, engage at will!" My character's voice rings out my command and I pick a target. A three round burst rattles out of my M16 and I see puffs of blood as my selected Soviet hits the ground. My squad opens fire and four more Russian's topple over. The rest hit the dirt, turning toward our position. I see the flash of their assault rifles and hear the whistle of their bullets flying past. I keep firing, killing two more soldiers before my magazine runs dry. It's when I start reloading that the crew emerges. There are four of them, all dressed in black and making a bee-line for the tank. One of them is pegged by one of my squad-mates. The other three make it however, and an instant later it's turning toward us. I curse inwardly and stand up. It makes me a fatter target but our only hope now is to find an anti-tank weapon before it kills us all. Bullets smack the ground at my feet as I sprint toward the outpost. There's only two Soviet troops left and they're both shooting at me. One face plants as my soldiers find their mark and I kill the second with a quick rifle burst. It's then that I hear the boom of its cannon. I don't see it, but I can hear the impact behind me. "Oh no 3 is down! Oh no 4 is down! Oh no..." The tally continues until half my squad is counted off. Trouncing the odds, I zip past the BMP and into the outpost. I can see an RPG just a few feet ahead of me, clinging to the back of a dead Russian. I just need a few more seconds. I don't get them. The BMP thunders off another sabot round and the ground around me explodes into a cloud of fire. 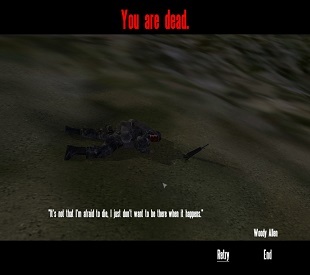 The screen flashes red again and my poor soldier launches into the air as the words "You Are Dead" appear in the middle of the screen. I push away from my computer for a moment, watching as the BMP ravages the rest of my squad. Then, with a sigh, I reload my game to try again. 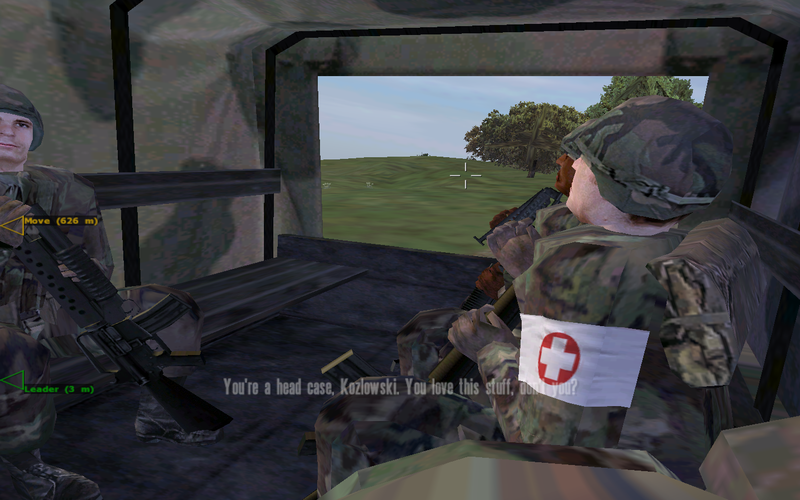 I'd be lying if I were to say that ArmA: Cold War Assault (originally known as Operation Flashpoint) wasn't occasionally a frustrating experience. It's kind of unavoidable when the aim of your game is to present players with a vision of war that's realistically lethal. There's no recharging health and you aren't an unbeatable action hero. You're just a soldier; mortal, fragile and completely vulnerable to pesky things like explosions, bullets and rifle toting Ruskies. As aggravating as it can be to die and die and die again, however, Cold War Assault possesses that wonderful quality of being good enough to keep you coming back no matter how many times it punches you in the proverbial face. 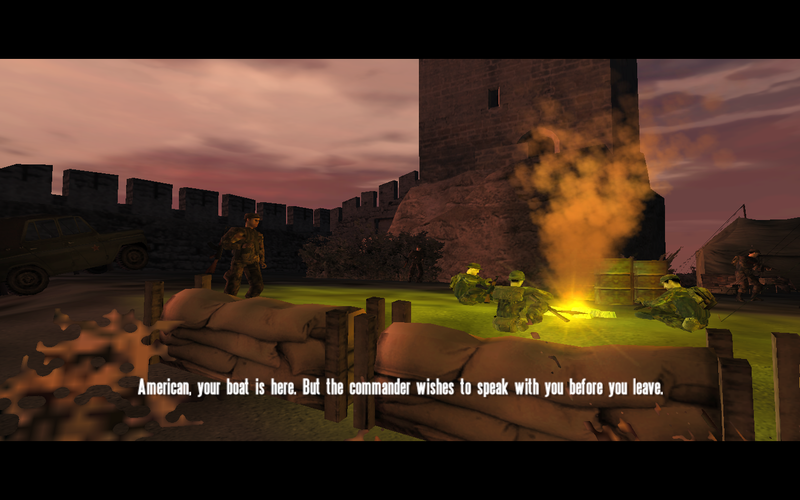 As its name implies, the game follows a fictional, mid-1980s conflict between Soviet and American-led NATO forces. The story, for the most part, is pretty negligible. 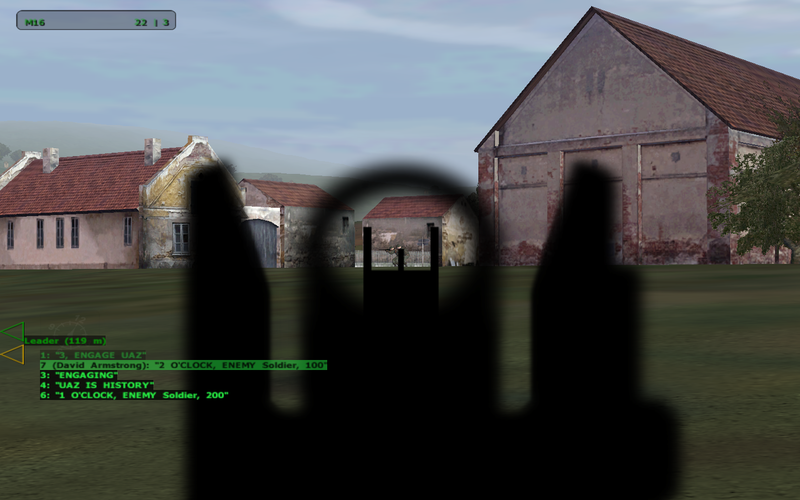 There are some occasionally interesting journal entries that detail the personal experiences of the various soldiers you'll play (an infantryman, tank commander, pilot and commando), but overall it mostly just amounts to an excuse to get the two superpowers pointing guns at each other. The focus, in turn, is firmly on the gameplay which honestly was more than enough for me. 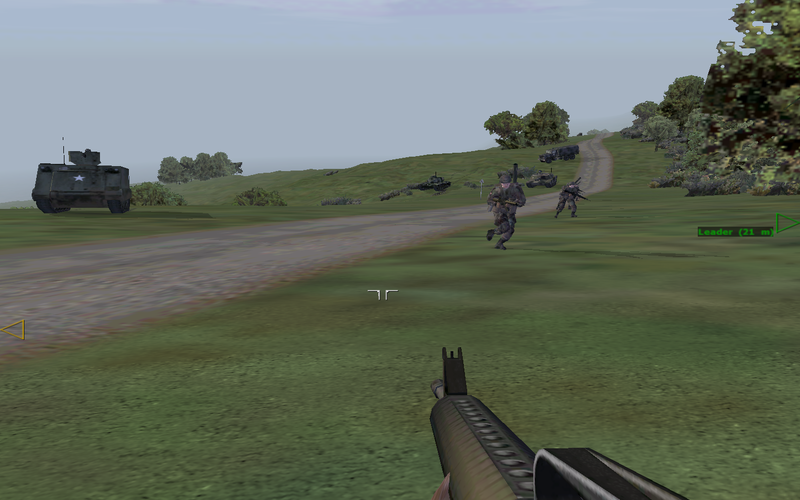 Granted, on the surface, ArmA feels very like much a standard first person shooter. Veterans of the genre will probably go through the same eye-roll that I did when the game's tutorial tried to teach me how to shoot, move, and perform all those basic actions countless other shooters have already taught me. 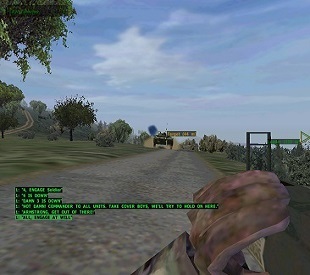 What makes the game different, however, is the way that it adapts FPS mechanics to its core concept of real-war simulation. Combat, for instance, is generally a long-range affair. There are certainly moments where I found myself up-close-and-personal with an enemy soldier, but by-and-large the vast the majority of firefights are with foes hundreds of feet away from you. There also generally won't be too many people in any given fight. This isn't a game like Duke Nukem 3D where you'll routinely gun down dozens of enemies before a level's end. 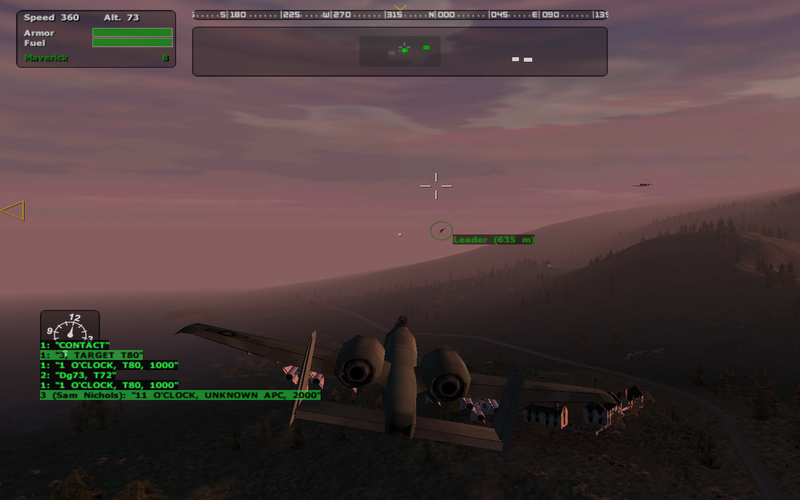 In Cold War Assault it's not uncommon for an entire level to feature 20-30 enemies at most. You might think this would make for some dull engagements, but it's really very much the opposite. The focus on realism makes even the most lightly armed grunt a threat even on the lowest difficulty settings. You'll spend less time running-and-gunning, in turn, and more making it through each engagement in one piece. This isn't to say you can't have fun trying to bust out your best Commando impression. Just know that emulating your favorite 1980s flicks will probably make you well acquainted with the game over screen. None of this should suggest that you'll need to follow rigid rules to succeed in Cold War Assault. Much to the contrary, the game gives you an impressive amount of freedom to approach your objectives as you please. This is especially true once you take command of your own squad. The assault I detailed at the beginning of this review, for instance, was just one of several attempts at attacking the outpost at the center of my objective. I tried at least half a dozen strategies to take that position ranging from disastrous direct assaults to complex maneuvers that found my squad making lengthy detours to sneak our way into an optimal striking position. This freedom also comes in handy in those moments where you do feel like going off the rails and going full Rambo. I can't count the number of times that I decided to abandon my missions and go traipsing for miles across the countryside looking for a fight. Usually, this would get me killed. Occasionally, though, it led to some of my most memorable moments with the game. One impromptu hike, for example, led me to a little town where I just happened to stumble upon a tank and a squad of Soviets that were wonderfully unaware of my presence. I managed to gun down all the soldiers and take out the tank before they even knew what was happening. Unfortunately, this freedom is at times thwarted by some bad decisions on the part of the developers. Most notably, the game's save system limits you to one save per level which is completely inadequate. To its credit, there are also checkpoints that will occur naturally as you progress through a mission. That said, they're few and far between, transforming your lone save file into a precious resource that you'll want to save for crucial, late stage moments. 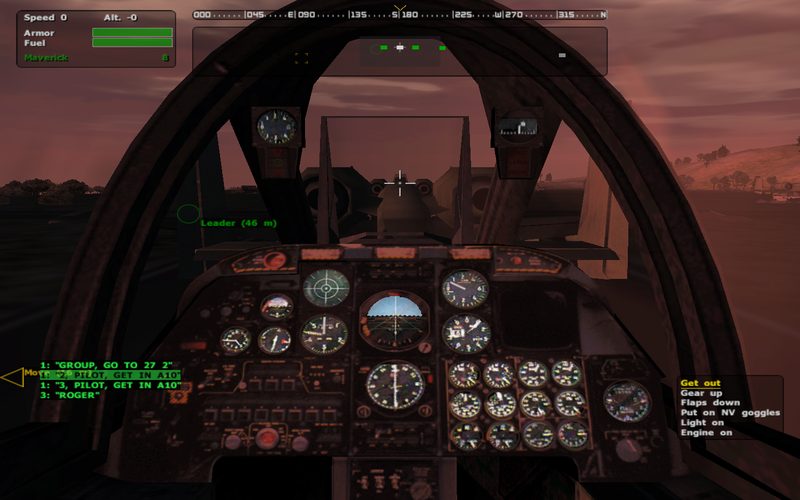 This can be especially troublesome in some of the longer, more complex missions where you can easily wind up in a situation where making any real progress means flawlessly fighting your way through multiple challenging engagements. Luckily, there is a cheat code that allows you to save your game whenever you want (Left Shift-Keypad Minus-S-A-V-E-G-A-M-E). It would have been nice, though, if the game had just let you do that naturally. The save system isn't the only problem. 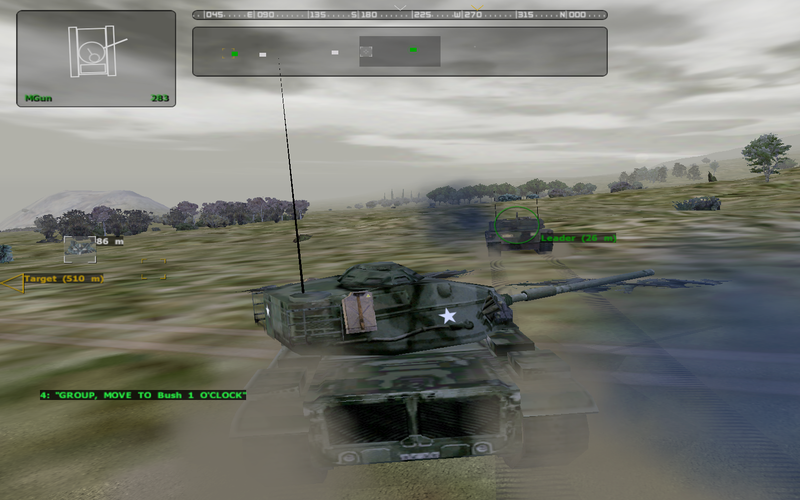 The game features several vehicle-centric levels that, by-and-large, aren't as fun as those focused on stealth or infantry combat. This problem peaks in the tank combat missions where you'll have to grapple with some of the most frustrating controls I've ever encountered. The issue lies with your role as the tank's commander. Rather than just carrying out actions yourself, you need to issue orders to the tank's crew members. Now, I get that they were trying to simulate how it might feel to actually be in charge of a tank. That said, it just doesn't work. Directing your driver never stops being unwieldy and your gunner's reactions to your targeting orders are frequently too slow. You're honestly just better off driving the tank yourself and making do with the more limited manual targeting options. 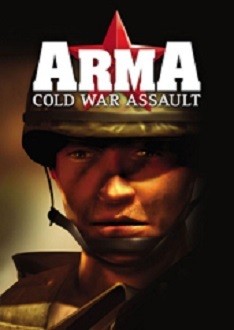 All of that in mind, the overall package of ArmA: Cold War Assault is one that I would encourage shooter enthusiasts everywhere to at least try. To be sure, it's a game that's perhaps not for everyone. That said, if you can adapt yourself to its take on shooters, you'll be privy to an experience that's as unrelenting in its rewards as it is in its challenges. Your deaths and failures might be frustrating, but that moment when the shooting stops and you realize you've won (not to mention the lengthy campaigns and robust mission editor) is absolutely worth the $5.99 GOG is charging for the game. Give it a shot and remember that cover is your friend. Come back next week for my review of Shogo: Mobile Armor Division!